A decent, if unspectacular set of songs made much more interesting by the voice that delivers them. 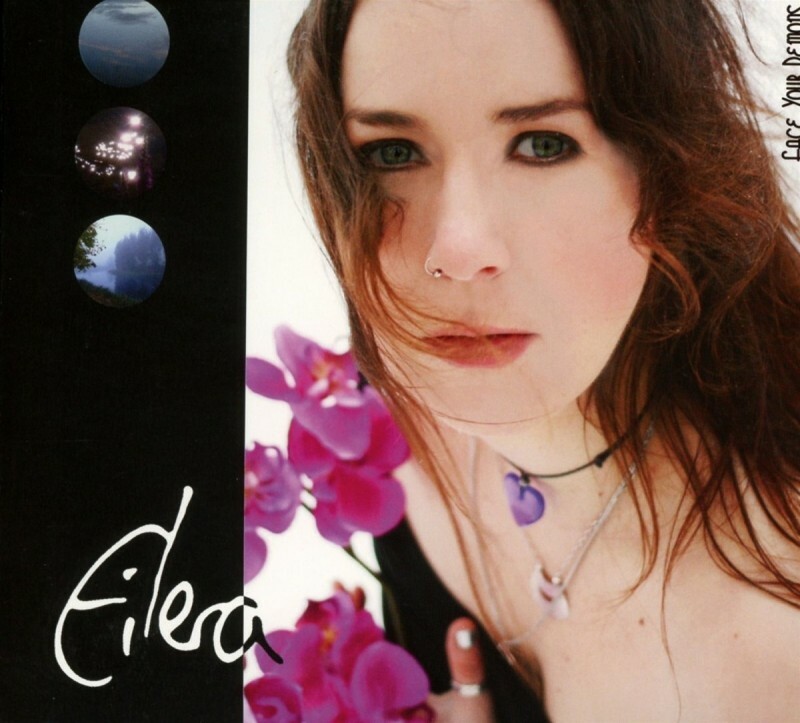 Based in Finland, but hailing originally from France, Eilera delivers her fourth album as she suggests you 'Face Your Demons'. Ironically that's something this album never seems quite able to achieve itself. A Pop-Metal-Folk-Rock sound with ever so slight Symphonic undertones reminding of the interludes a band such as Nightwish might use to link their more effusive moments. A feeling heightened by the fiddle-vocal-guitar trade off to be found on 'Your Way', a track that tries hard to Rock but never quite loses its inhibitions enough to do so. Bolstered by a more than capable group of musicians, the forceful canter of 'Frozen Path' carries you along with a jaunty playfulness, fiddle echoing the vocal lines as kick drums pound in the background and keenly picked guitar melodies set the scene. Although it's the atmospheric 'Polynia', where power chords crash through against babbling brooks, echoing drums and threatening sounds of distant thunder, that maybe illustrate where Eilera is at her most memorable. Frustratingly, the main strength of '...Demons' is also its biggest stumbling block. For all that the voice of Eilera is a striking, enigmatic focal point, there's no denying it's an equal barrier to overcome. Those likely to struggle with a strongly accented delivery can look away now. An inability to decipher exactly what this talented lady is trying to say all too often catching the attention. Even when that isn't the case, the results can prove just as disconcerting with vowels often elongated and mangled. Additionally, the warbling but wide ranging attack reminds of Bjork singing The Cranberries numbers with the help of Amy Lee (Evanesence). With all that said, Eilera is undoubtedly idiosyncratic yet impossible to ignore. Strangely, the impression you're left with is that if a more conventional singer was handed these songs, you'd have a decidedly dull proposition in your lap, something that in its current guise can't be said of 'Face Your Demons'. It's a conundrum Eilera never quite works out how to solve. A decent, if unspectacular set of songs made much more interesting by the voice that delivers them. If you can learn to love those extremely individual tones, then this may be an album you'll cherish. If not, its demons may well prove too large and frightening to overcome.